You Are Here: Home > Can a Honda Dealer Service an Acura? At Patty Peck Honda, we service all makes and models, including Acura. Whatever your car needs done–from simple oil changes to more complex engine repairs–we possess the know-how and the state-of-the-art equipment required to get the job done right. To top it off, if you’re driving around Ridgeland in an Acura, we can acquire genuine OEM Acura parts for your vehicle. At Patty Peck, we’re committed to retaining your vehicle’s integrity. You want Acura parts, we’ll get them! If genuine OEM parts and expert-level service technicians aren’t enough to convince you, we’ve got a few more perks to offer. From our express service option to our extended service hours and monthly service specials, we’re here to make servicing your Acura affordable and convenient. You shouldn’t have to worry about scheduling an appointment–weeks in advance–just to wait over an hour for an oil change. When it comes to routine maintenance and simple service repairs, just stop on in. We’ll take care of it in a jiffy. We understand that many drivers are often hesitant to schedule service with dealerships, given that the prices are often higher, but, at Patty Peck Honda, we make it affordable. With service coupons that are always changing, you’re bound to find a deal on exactly what you need every now and again. 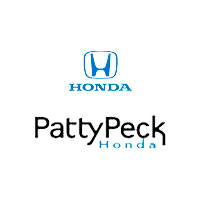 At Patty Peck Honda, we’re in the business of providing customer satisfaction. While we can toot our own horn, it’s often best to find out for yourself. So, if you’re in need of a little service, feel free to schedule a service appointment at Patty Peck in Ridgeland. We look forward to working with you. If you have any questions, or would like to schedule service over the phone, simply contact our service department at 601-957-3400. We are ready and willing to answer any questions you may have. We are a convenient drive from Jackson, Flowood, and Madison.